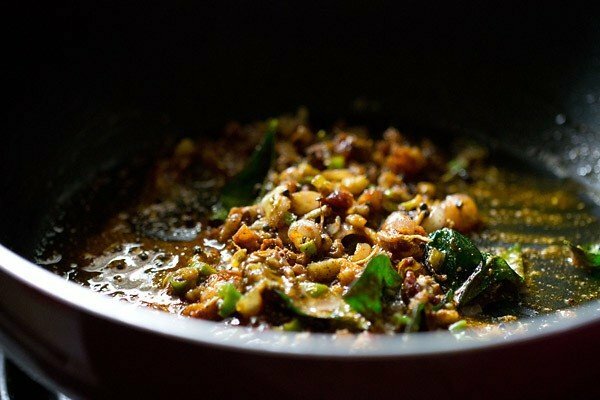 kadala curry recipe - spicy black chickpeas curry from the kerala cuisine. gluten free and vegan recipe. 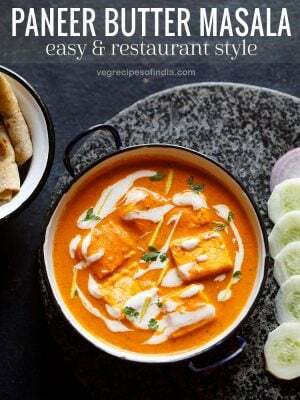 kadala curry recipe with step by step photos – spicy and tasty black chickpeas curry from the kerala cuisine. occasionally on some days, i make kadala curry with puttu. i have a puttu maker from kerala, gifted by my mom. for breakfast i prepare puttu to go along with the kadala curry. 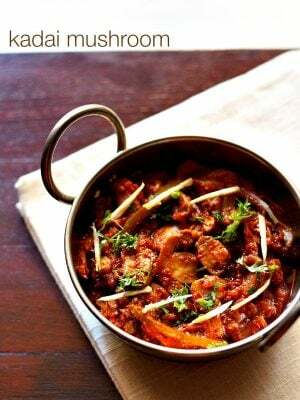 for lunch, i serve the spicy & aromatic curry with rice or chapatis or pooris. if you are wondering what is puttu, then these are steamed rice & coconut cakes. 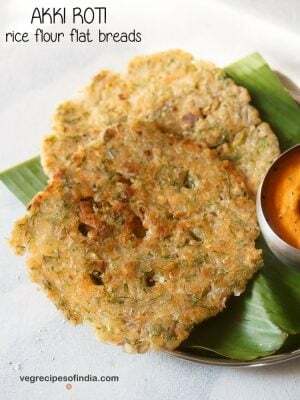 a traditional as well as popular breakfast in kerala. and kadala means chickpeas. 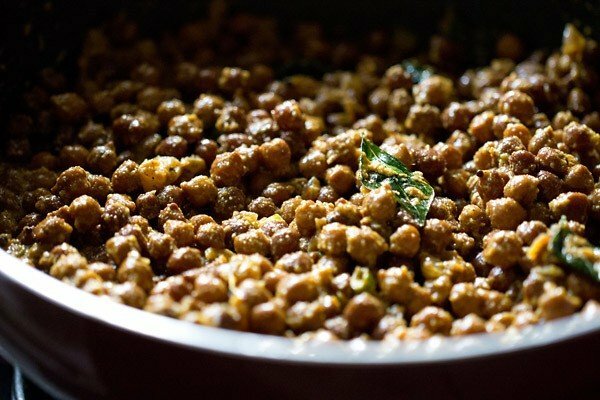 also known as kala chana, whole bengal gram and desi chana. this recipe calls for the kerala garam masala or spice blend. this is a spice blend that is added to curries. 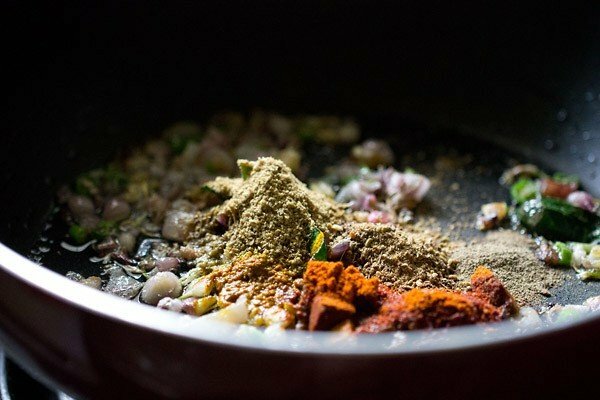 since this blend is not easily available everywhere, in this recipe i have made a very small amount of the spice blend just for the curry. 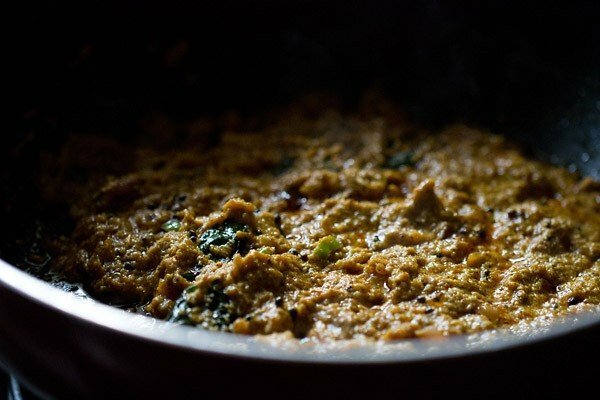 till now i have been using a recipe from a cookbook as well as my mom’s fusion recipe for the kadala curry. not yet tried other versions. 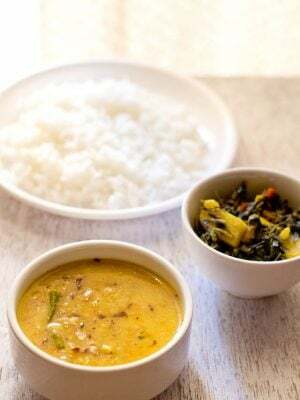 the kadala curry as well as the kerala garam masala recipe has been loosely adapted from the ‘essential kerala cookbook’ by vijayan kannampilly. 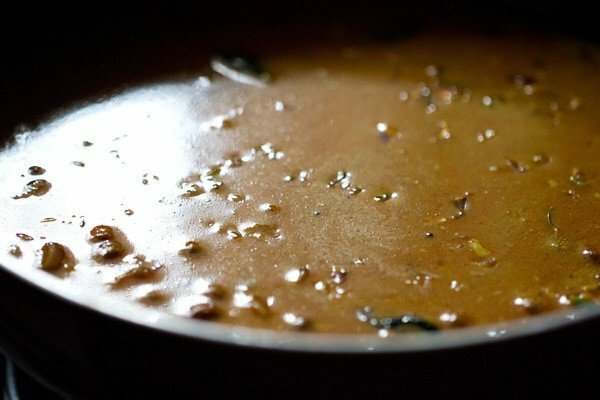 there are many variations of preparing this curry ranging from a gravy to a semi dry version. 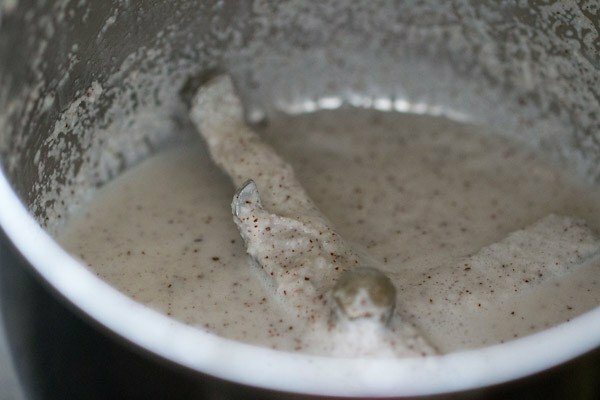 some variations use coconut milk, some make without coconut and some use fresh or roasted coconut. black chickpeas being a good source of proteins, this curry is nutritious and healthy. 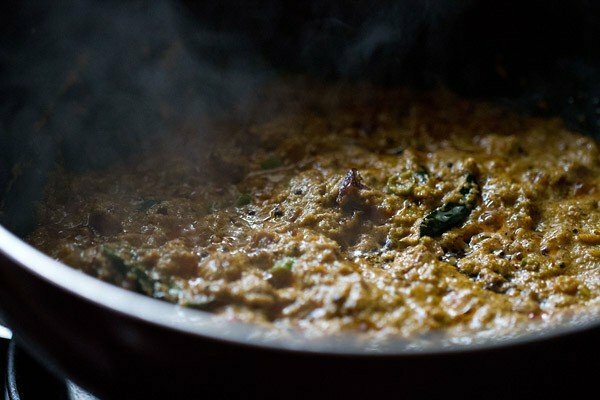 like many south indian curries and gravies, this one too is vegan and gluten free. 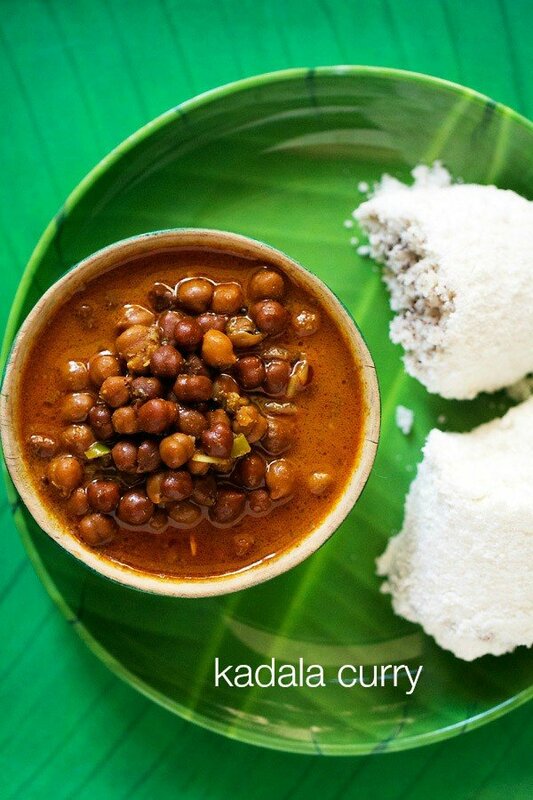 the spicy kadala curry can be served with puttu, appams, idiyappam or with steamed rice, chapatis or pooris. 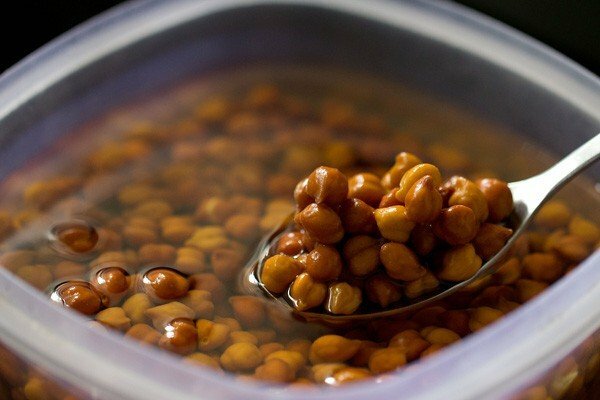 first rinse and then soak the black chickpeas in 2 cups water for 8 to 9 hours or overnight. here's a pic of the soaked black chickpeas. 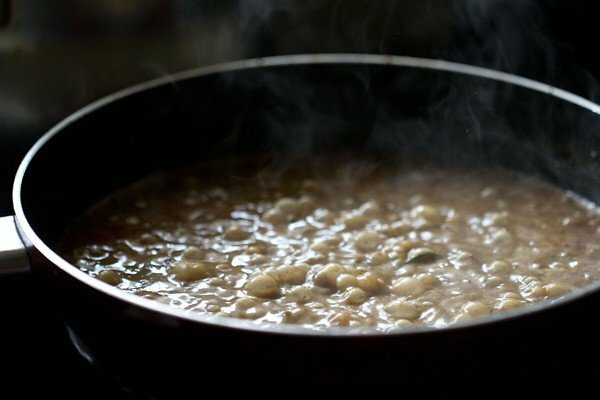 you can also use white chickpeas instead of black chickpeas. 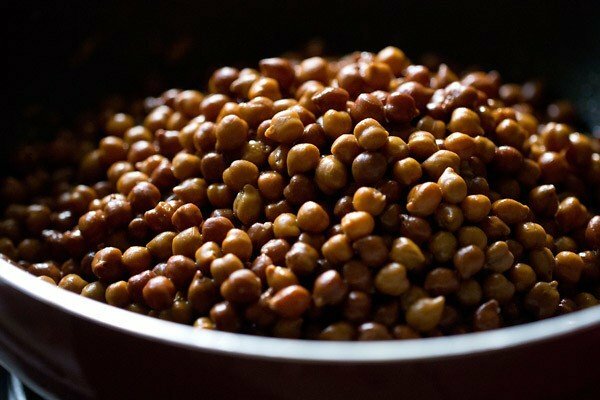 take the black chickpeas in the pressure cooker. add 2.5 cups of fresh water or overall 2.5 cups of the soaked water + fresh water. 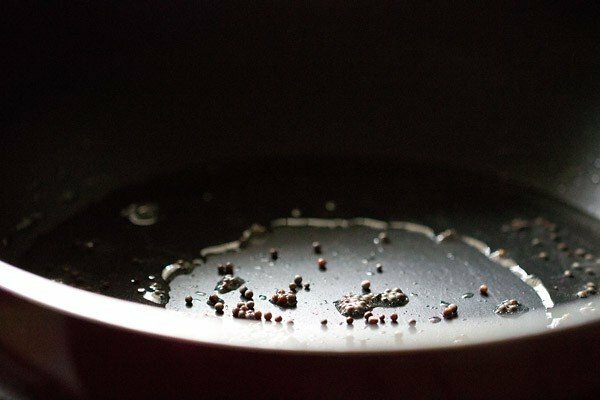 i usually do not throw away the soaked water of black chickpeas. add 1/2 tsp salt. stir and pressure cook the chickpeas for 10 to 12 whistles till they are tender and cooked through. meanwhile when the chickpeas are cooking, take 1/2 cup tightly packed grated coconut in a grinder jar. add 1/4 to 1/3 cup water and grind to a smooth paste. keep the ground coconut paste aside. 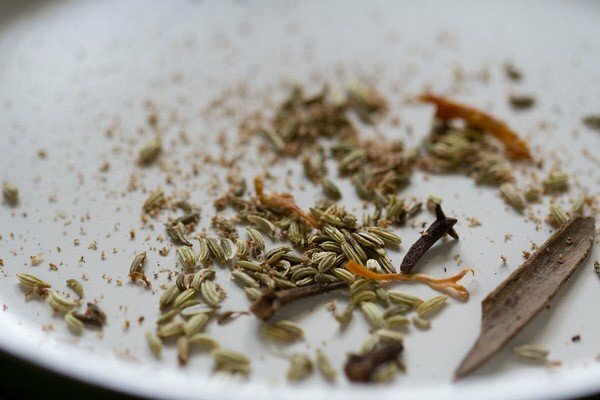 in a small pan, dry roast the following spices till aromatic - 1/2 tsp fennel seeds, 2 to 3 strands of mace, 1 inch cinnamon, 3 cloves, 3 pinches of grated nutmeg or nutmeg powder. just a light roasting. don't over do. in a small grinder or coffee grinder or a mortar pestle, grind or pound these five spices to a semi fine or fine powder. keep aside. heat 2 tbsp coconut oil in a pan. add 1/2 tsp mustard seeds and let them crackle. add 1/3 cup chopped shallots. stir and saute for a minute. then add 1 tsp chopped ginger, 1 tsp chopped green chilies, 10 to 12 curry leaves and saute till the shallots turn translucent or a light brown. then add 1 tsp red chili powder, 1 tsp coriander powder, 1/4 tsp black pepper powder and the ground kerala garam masala. if you already have kerala garam masala, then just add 1 tsp of it. 1 tsp of red chili powder, makes this curry spicy. so reduce to 1/2 for a less spicy version. stir the masalas very well and saute for a minute on low flame. 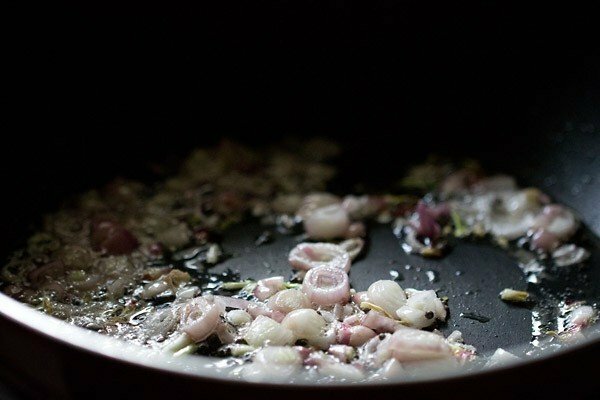 saute for 4 to 5 minutes on a low flame. then add the cooked black chana or kadala. stir very well. then add 1 to 1.25 cups water and stir. 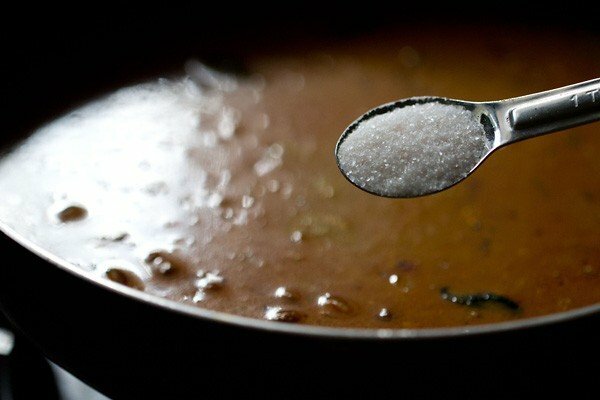 season with the required amount of salt and stir kadala curry again. let the kadala curry come to a boil and the gravy reduces a bit. the flavors and chickpeas should also be well blended. serve kadala curry hot with puttu or appams or steamed rice. for cooking chickpeas in a pot. add the soaked chickpeas and 2.5 to 3 cups water in a pot with the salt. cover and bring the water to a boil. later on a medium to high flame, cook the chickpeas till they are tender. 1. first rinse and then soak the black chickpeas in 2 cups water for 8 to 9 hours or overnight. here’s a pic of the soaked black chickpeas. 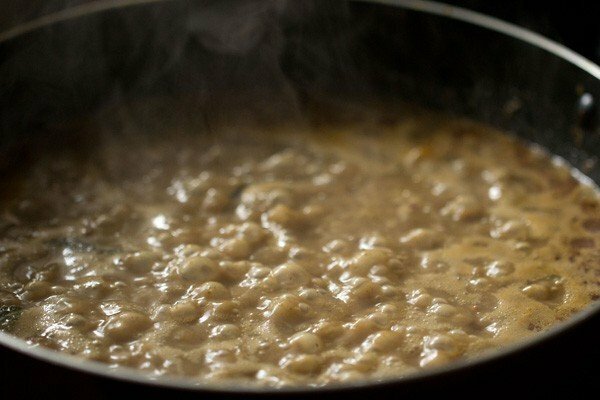 you can also use white chickpeas instead of black chickpeas. 2. take the black chickpeas in the pressure cooker. 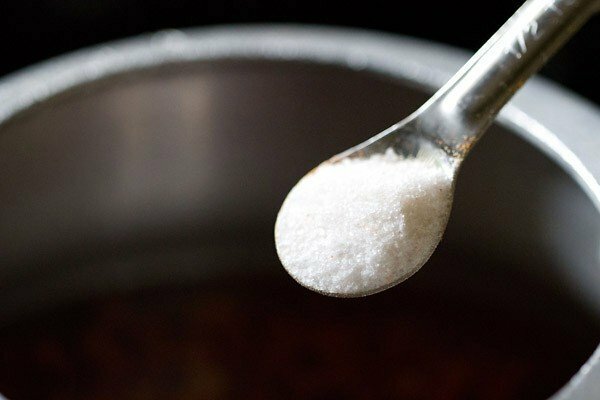 add ½ tsp salt. 3. add 2.5 cups of fresh water or overall 2.5 cups of the soaked water + fresh water. i usually do not throw away the soaked water of black chickpeas. add water. 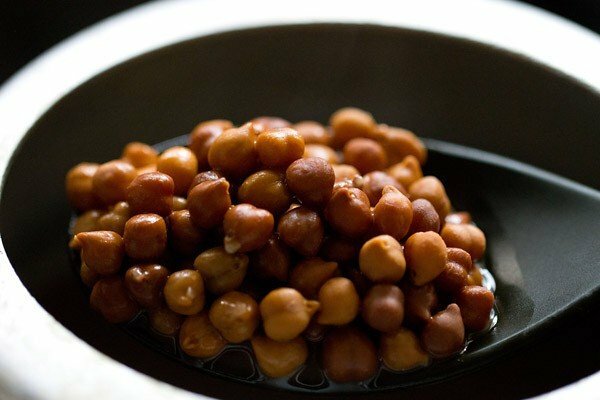 4. stir and pressure cook the chickpeas for 9 to 10 whistles or more till they are tender and cooked through. reserve the stock and keep aside. 5. meanwhile when the chickpeas are cooking, take ½ cup tightly packed grated coconut in a grinder jar. 6. add ¼ cup water and grind to a smooth paste. add more water if required while grinding. keep the ground coconut paste aside. 7. in a small pan, dry roast the following five spices till aromatic – ½ tsp fennel seeds, 2 to 3 single strands of mace, 1 inch cinnamon, 3 cloves & 3 pinches of grated nutmeg or nutmeg powder. just a light roasting. don’t over do. 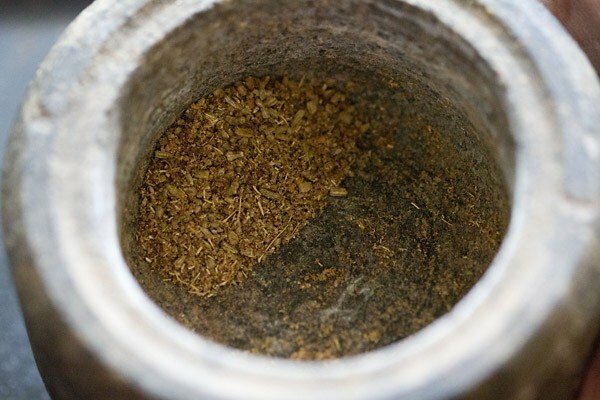 8. in a small grinder or coffee grinder or a mortar pestle, grind or pound these five spices to a semi fine or fine powder. keep aside. 9. heat 2 tbsp coconut oil in a pan. 10. add ½ tsp mustard seeds and let them crackle. 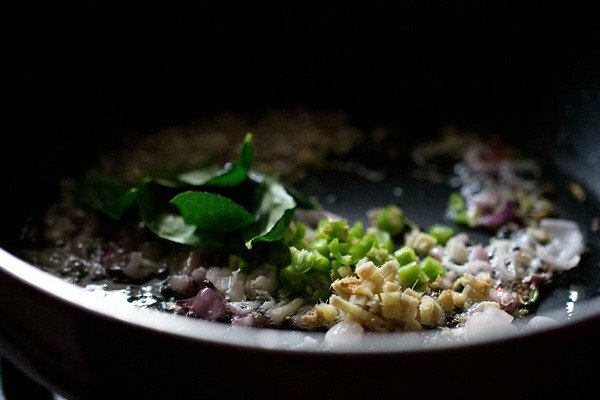 11. add ⅓ cup chopped pearl onions or shallots. stir and saute for a minute. 12. then add 1 tsp chopped ginger, 1 tsp chopped green chilies, 10 to 12 curry leaves and saute till the shallots turn translucent or to a light golden. 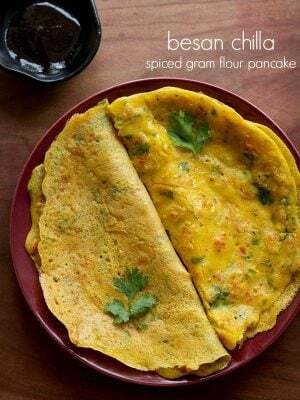 13. then add 1 tsp red chili powder, 1 tsp coriander powder, ¼ tsp black pepper powder and the ground kerala garam masala. if you already have kerala garam masala, then just add 1 tsp of it. 1 tsp of red chili powder, makes this curry spicy. so reduce to ½ tsp for a less spicy version. tomatoes are not added in this recipe. but if you want, you can add 1 medium tomato. 14. stir the masalas very well on a low flame and saute for a minute. 15. then add the ground coconut paste. 17. saute for about 4 to 5 minutes on a low flame. 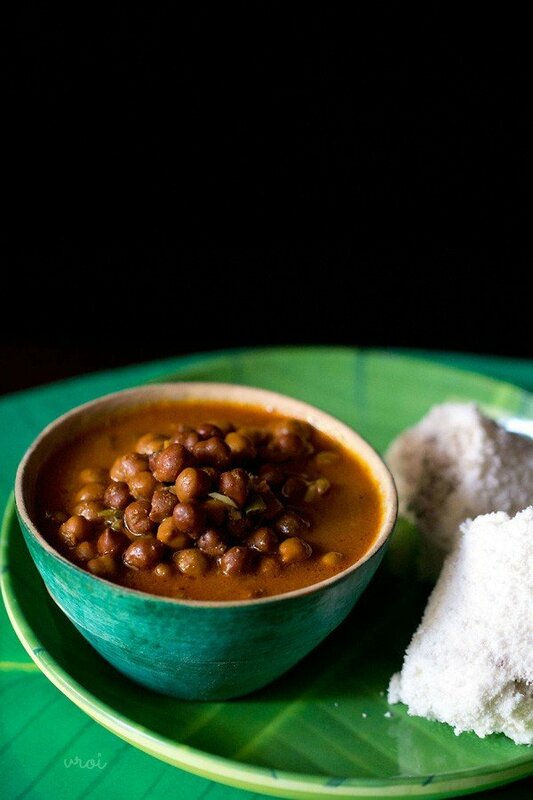 18. add the cooked black chana or kadala. 20. then add 1 to 1.25 cups water or the chana stock or both. stir. 21. season with the required amount of salt and stir the curry again. do add less salt as we have added some salt while cooking the chickpeas. 22. let the kadala curry come to a boil. 23. simmer kadala curry till all the flavors and the chickpeas are well blended. 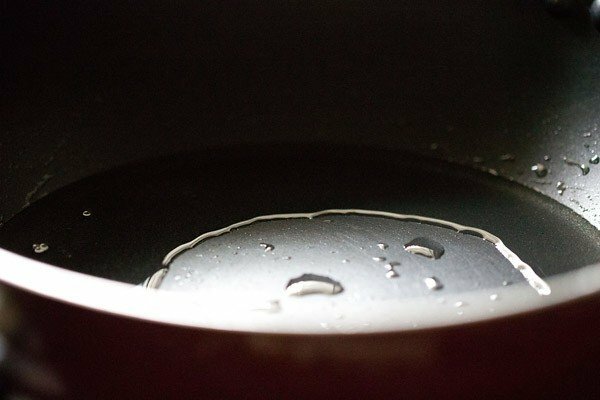 you will also see some oil specks floating on the top in the kadala curry. 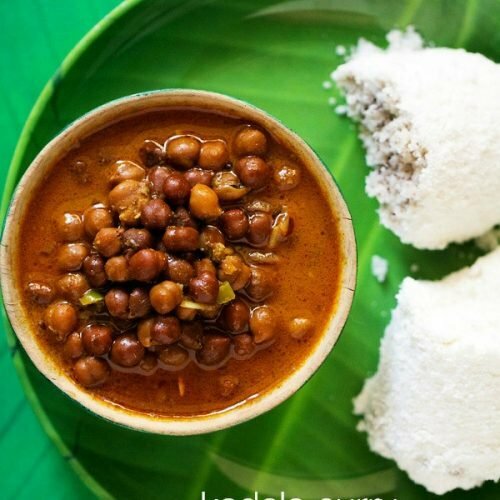 23. serve kadala curry hot with puttu or appams or idiyappam or steamed rice or rotis or pooris. Great recipe. Only a single suggestion!. I wish all the good people who post recipes, would stop saying “cook till 10 whistles”. 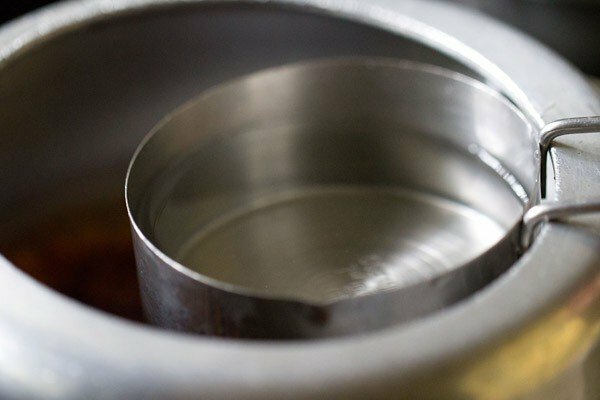 you can make a pressure cooker whistle ten times in a minute, or not at all !. Please provide time you need to maintain pressure, once the cooker reaches its designed pressure. That would really help. Welcome Mathew John. In some of the older recipes, I have not added time. But for last 2 years I am adding the time. Timing depends upon the size of the cooker, intensity of flame, quality of beans and thus varies. So its difficult to give exact timing. Best is to cook till the ingredients are cooked well. 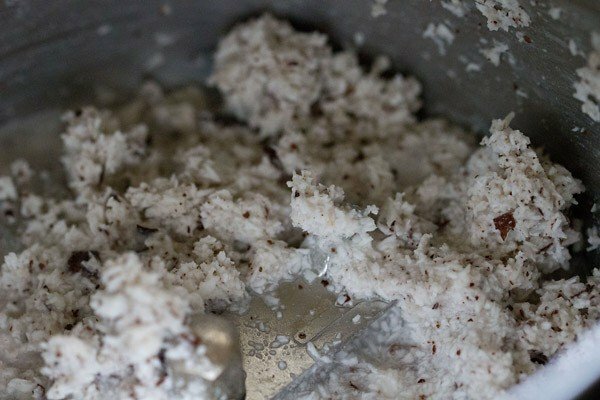 Do you happen to have a recipe for the puttu rice cakes? not yet shared puttu rice cakes but have considered your request. kindly allow us some time to post thanks. 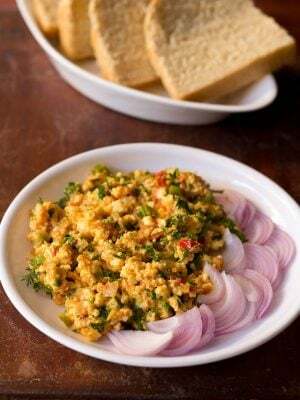 hi…this looks easy.. we used to make it like fry..coconut with pepper ,shallots curry leaves and garlic and red chillies.. the once its brown, we add lil chilli powder and coriander powder and then grind it and add to the cooked chana. thats how I used to cook every time. welcome aastha. nice to know this. i will try to add more sindhi recipes in future. Thanks, Dassana! This recipe is great. I made it twice; the first time with cauliflower and eggplant (didn’t have chick peas) and I cooked the veggies with little water. The second time I followed the recipe. Both versions were great! Yummy! welcome sari. nice to know this. thanks for sharing your positive feedback. welcome salma. glad to know this. thanks for sharing positive feedback. Hey Dassana great recipe!! Can you post recipe of puttu too? I want to say another thing. As far as I know puttu is made from ground rice but in Delhi this special ground rice is not available. Can you please post your recipe with all information.. like which type of rice to use, hot to make powder and everything? I have eaten puttu 3 years back when I visited kerala by train. 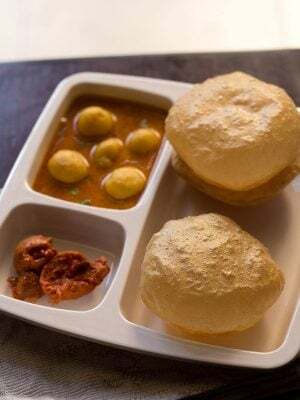 I found this new looking dish sellin on mangalore station and just tried it. But then I tried to search recipe but had not very good luck. Please Dassana please help me to make it. And lastly you are very humble lady who shares all of her cooking secrets with lots of dedication via this website. 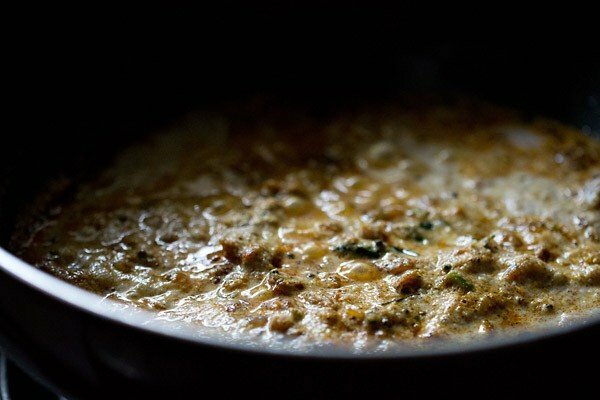 I am also a programmer so I know how hard it is to keep posting new recipes , backend stuff all. thanks a lot radhika for the kind words. yes it does become tedious at times with the backend stuff etc. the puttu that i made when i made kadala was from coarsely ground rice. luckily i get puttu flour here, so kind of becomes easy to make. hence i do not grind the rice at home. anytime i want to make puttu, i but this flour which is meant for making puttus. you can use regular rice as in delhi you won’t get the rice meant for making puttu flour or even parboiled rice. just soak the rice for 2 to 3 hours. drain and then let them dry naturally in a shade or below a fan. then grind them in a grinder coarsely. don’t make a fine powder. then lightly roast the ground rice in a pan for 3 to 4 minutes on a low flame. 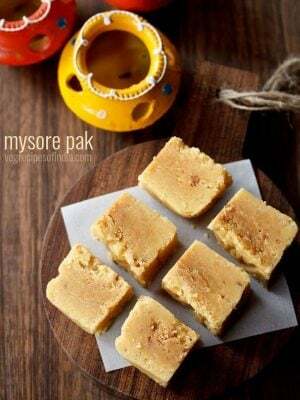 Hey dassana, m sure this recipe is fab n the pictures as always are great. Since I originally hail from Kerala, I have seen my mom make kadala curry n puttu for breakfast many times. Her version is a little different than yours. The while spices are roasted alongwith grated coconut and then ground and added to the chana. The mixture is then simmered and tempering is added to it. It feels great to be on your blog. In fact just today I made your Hyderabadi Dum biryani and it was simply amazing thanks to you. My friend n I l loved it.